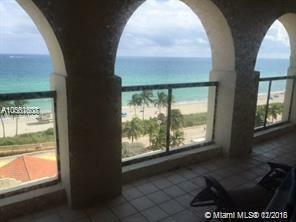 The ONLY penthouse w/a BALCONY at the Hollywood Beach Resort. Owner will entertain a reasonable offer. Unit has been totally remodeled, a lot of improvements done. New everything! Really over-sized 1 bedroom & 1.5 bth penthouse. New baths, granite kitchen & furniture. 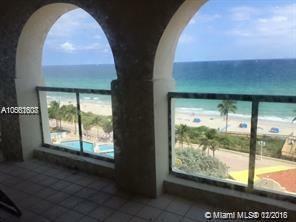 Features gorgeous expansive direct ocean views from every window. No rental restrictions, rent on your own, use the hotel program for income or also use as your own weekend place for quick getaway! Private elevator to PH floor. All utilities included in maintenance: water, electric, insurance, cable, parking garage, A/C, pool, security. There are many improvements being done, elevators, brand new very reasonable cost! !- registration desk as you enter the lobby, New Bar & GOOD dining-restaurant in back of Resort on Broadwalk!